Our second week here in Palmer is beginning to wind up for Shabbat– and Magshimim is greatly looking forward to our beautiful Kabbalat Shabbat services tomorrow night, as well as our first tisch (post-dinner singing) on Tzad Bet (B-Side). 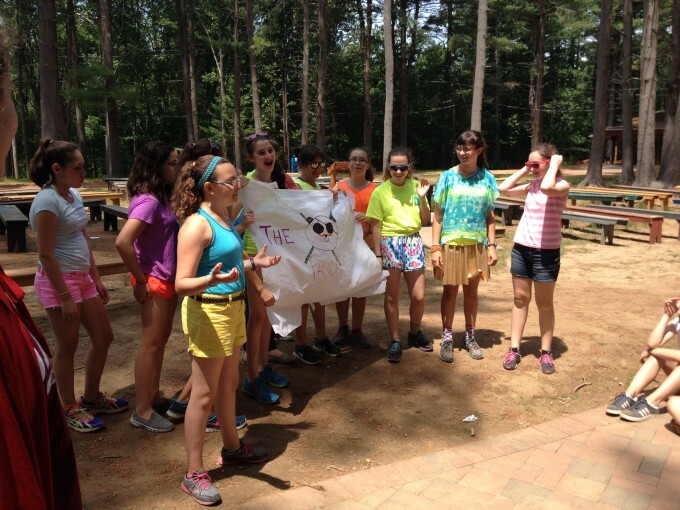 It was a fun-filled week on all fronts, be it playing Live Action Tapuchim LeTapuchim (Live Action Apples to Apples) as an edah, or parading through camp in our respective tzrif (bunk) Pirate ships for Yom Shodidei Yam (Pirates). We’re looking forward to much more to come, including our new chugim (activities), which start this Sunday. Shabbat Shalom!